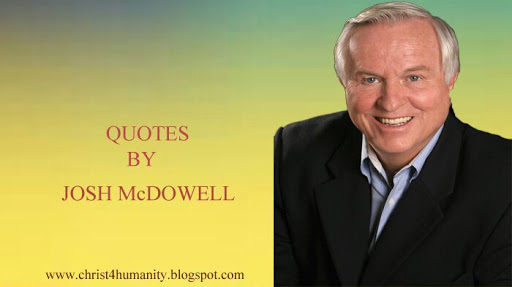 I developed an interest in apologetics after my readings of Josh McDowell’s materials. Actually, my favourite of all his writings is “More Than A Carpenter”. His teachings are down to earth and very sound. I always get challenged after reading his materials to seek to know the truth the way he knows and teaches it. I will encourage you to read these few with an open heart. Prayer is talking with God. God knows your heart and is He not so concerned with your words as He is with the attitude of your heart. You can laugh at Christianity; you can mock and ridicule it. But it works. It changes lives. If you trust Christ, start watching your attitudes and actions, because Jesus Christ is in the business of changing lives. Whenever you do judge, the only basis of judgment is not your own perspective or anything else, it’s the very character and nature of God and that’s why we are to allow Him to exercise His justice, where I personally want to take it upon myself. The Christian faith is faith in Christ. Its value or worth is not in the one believing but in the One believed – not in the one trusting, but in the One trusted. One who claimed what Jesus claimed about himself couldn’t be a good moral man or a prophet. That option isn’t open to us, and Jesus never intended it to be. We do not develop habits of genuine love automatically. We learn by watching effective role models – most specifically by observing how our parents express love for each other day in and day out. True love is spelled G-I-V-E. It is not based on what you can get, but rooted in what you can give to the other person. After more than 700 hours of studying this subject, and thoroughly investigating its foundation, I have come to the conclusion that the resurrection of Jesus Christ is one of the most wicked, vicious, heartless hoaxes ever foisted upon the minds of men, or it is the most fantastic fact of history. Jesus claimed He had the power to raise himself from the dead and His followers would be raised from the dead. That’s a unique claim in the literature of religion. Few people seem to realize that the resurrection of Jesus is the cornerstone to a world view that provides the perspective to all of life. If there were more than one path to salvation then it would totally negate Jesus’ sacrifice on the cross, his life, his teachings. ‘My Lord and my God!’ Thomas exclaimed. (John 20:26-28). Jesus accepted Thomas’s acknowledgment of him as God. He rebuked Thomas for his unbelief but not for his worship. The first to speak in court sounds right—until the cross-examination begins” (Proverbs 18:17). You are permitted and encouraged to reproduce and distribute this material in its entirety or in unaltered excerpts, as long as you do not charge a fee. For Internet posting, please use only unaltered excerpts (not the content in its entirety) and provide a hyper-link to this page. Any exceptions to the above should be approved by Samuel E. Entsua-Mensah.